These will be available through any of your local Angstadt Dealers in 2019!! With the US state Department delays and everything we cannot at this exact moment provide an ETA but will update when we have more info. These are awesome! Too bad it isn’t NR. May still pick one up, just need to decide on caliber lol. Any idea on price? What colours will it come in as well? You name it we can get it, Black is standard. 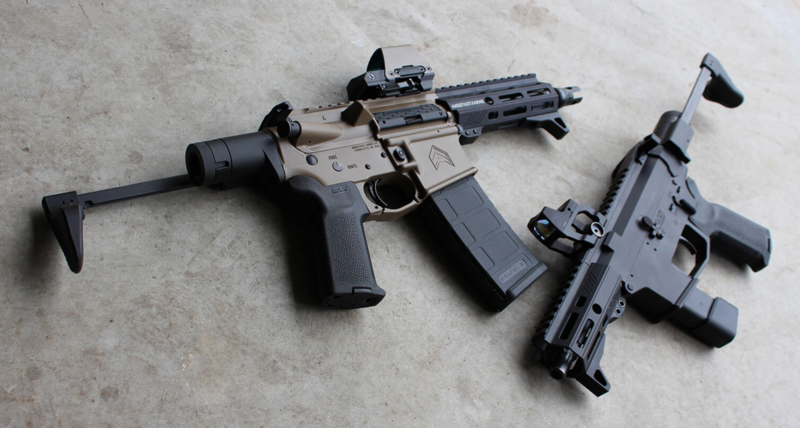 *drool* Ty, we need to discuss these.. always liked by udp-9, but it's time to upgrade. Let's hope for the PC's and their simplified firearms act after Oct-2019 elections this year. I'll be curious to see what constitutes NR and R ordinance if they get elected. I like being able to carrying my carbine in the same size case as my pistols,so this things is a very high priority for me,especially if it’s cheaper then the MPX...plus glock mags mag it even nicer. Are those stocks and boot carriers availble separately,or compatible with other AR recivers? This gun looks awesome. I will take one when available.